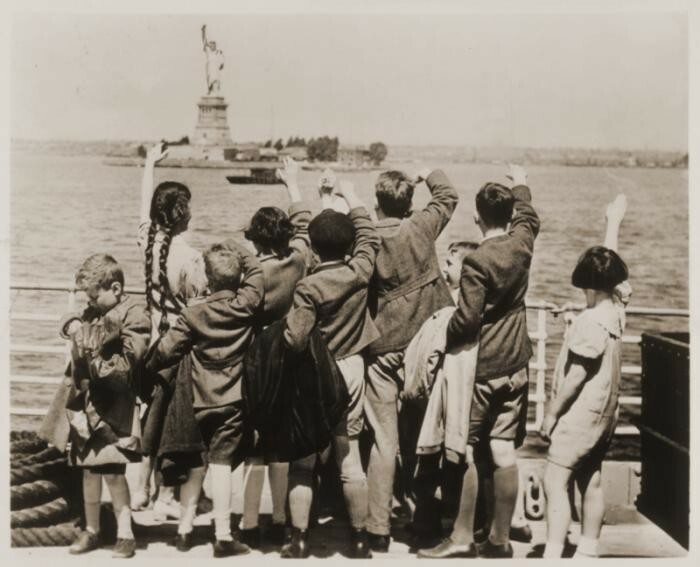 Children aboard the President Harding look at the Statue of Liberty as they pull into New York harbor. They were brought to the United States by Gilbert and Eleanor Kraus. New York, United States, June 1939.